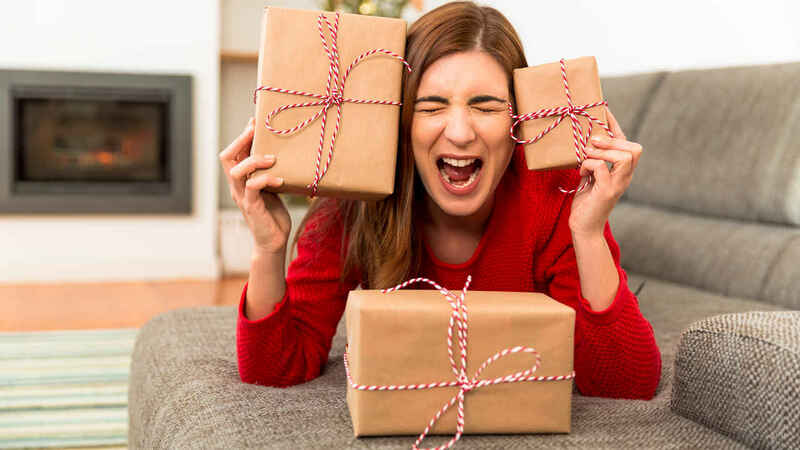 During the holiday season, many people experience stress spurred by high expectations and excessive demands. That kind of stress, sustained over a period of time, can negatively affect your health. Studies show that chronic stress can suppress the immune system, leaving you more vulnerable to colds and upper respiratory infections. Sleeplessness, headaches, neck pain, constipation, diarrhea and indigestion are also common reactions to unhealthy stress levels. So is an inability to concentrate, irritability and difficulty completing tasks or making choices. Break tasks into manageable pieces. Make lists, set priorities and check things off when they're done. This will give you a sense of control and accomplishment. Learn to delegate. You don't have to do everything alone. Figure out what can be handled by someone else and assign the task to them. Don't second-guess your decisions. You have lots of choices to make at this time of year. Go with your instincts and don't stress out second-guessing yourself. Be realistic. Expect things to go wrong and don't try to be perfect. Sometimes the only difference between manageable and unmanageable stress is your expectations. Get enough sleep. Don't give up sleep in order to get more done. When you're well-rested you'll be more productive and will better handle stress. Move as much as possible. Exercise is a great stress-reliever and lowers adrenaline production, which may counteract the stress response. Even though you're busy, make exercise a priority. Eat well. During demanding times, eat small, frequent meals to maintain energy. Don't load up on sugar and unhealthy fats when stress rears its ugly head – stick to wholesome foods. Avoid a quick fix. Alcohol and caffeine rob you of sleep, energy and clarity. They are not the way to handle stress and only make matters worse. Relax and breathe. When things get overwhelming, take a few minutes to practice deep breathing. Inhale slowly to a count of four, imagining the inhaled warm air flowing to all parts of your body. Pause. Then exhale slowly to a count of four, imagining the tension flowing out with the exhaled air. Repeat. Seek medical help. If stress interferes with your work or activities, if your life feels overwhelming or if you experience frequent health problems you think might be stress-related, see your doctor.